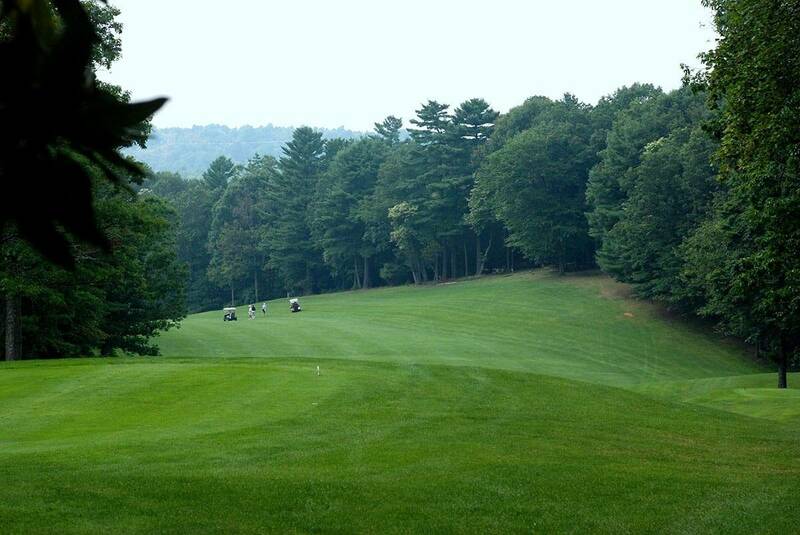 There are so many great things about the golf course at High Meadows Golf & Country Club, but one that we are especially proud of this time of year are the lush green fairways and putting greens on each one of our 18 holes. When many courses in North Carolina start to wither from the heat, and grounds managers struggle with brown spots and crunchy, dead grass, our course is an oasis of green. This is thanks in part to our location. At our higher elevation, High Meadows doesn’t suffer from the same amount of heat and humidity as the golf courses in North Carolina’s Piedmont and eastern regions. But it’s also thanks to the studied techniques of our golf course superintendent, Nathan Biggs. Nathan came to High Meadows in 2012, bringing with him years of experience working on other well-known courses. He started out studying turf grass management at Sandhills Community College, and from there went to helping make golf courses the best they can be. He has worked at Primland Resort, Meadows of Dan, VA; Pine Needles, Pinehurst, NC; Elk River; Banner Elk, NC; Century Country Club, Purchase, NY; and the Country Club of Vermont, Waterbury Center, VT. While he gained a lot of great experience at those courses up and down the East Coast, he always knew he wanted to come back to North Carolina, and High Meadows was a perfect fit. “This is a course you can play every day and never get tired of it,” Biggs said. Like many courses in our area, the course is planted with Poa grass, with Bentgrass on the greens. Poa is a low-growing turf grass that grows well in temperate climates, making it a good choice for golf course fairways. It also has the advantage of being winter hardy, so there’s no dormancy period. One of the key features of Poa is its sod-forming ability, which helps it rapidly recuperate from injuries and fill thin areas. This is a must on a golf course, where clubs constantly make divots along the fairways. But it is not only the type of grass that helps keep the fairways green all summer long. It is Nathan’s creative approach to irrigation. High Meadows has a computer-driven irrigation system, but in the height of the summer, when the course could face either days of hot dry weather or a sudden storm dropping a couple of inches of water, Nathan turns off the computers and manages the watering himself. “If you just turn the whole system on, some spots will get water that don’t need it, making some areas mushy,” Nathan said. Instead, he works out a combination of irrigation and handwatering where needed. “This helps keep away mushy or dry patches, and keeps the greens at a more consistent speed,” Nathan said. Grounds management on a golf course is more than just watering and mowing. It’s paying attention to a delicate balance of cultural practices, learning the ins and outs of the particular climate and working with the environment. Thanks to a great design, careful maintenance over the years, and Nathan’s well-thought out approaches to turf management, the course is a great place for a game of golf no matter the time of year. Make plans to come up and play a round on our lush green golf course this summer with our Ultimate 3-Day Golf Getaway package. This gives you the opportunity to check out the green fairways for yourself with a round of golf and dinner at the club.